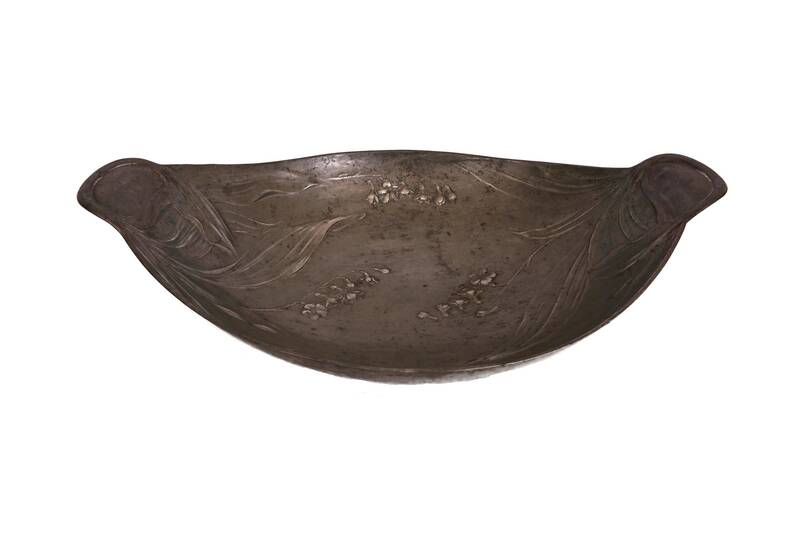 A beautiful Art Nouveau pewter fruit bowl dating from the early 1900s. 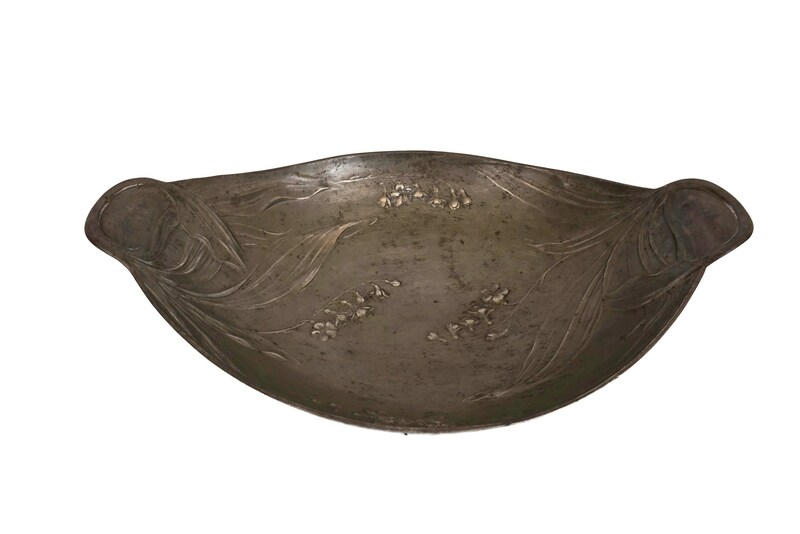 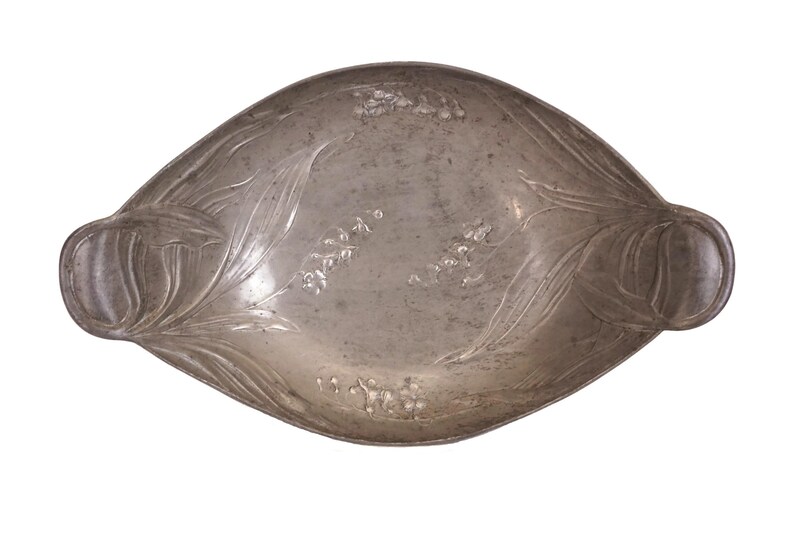 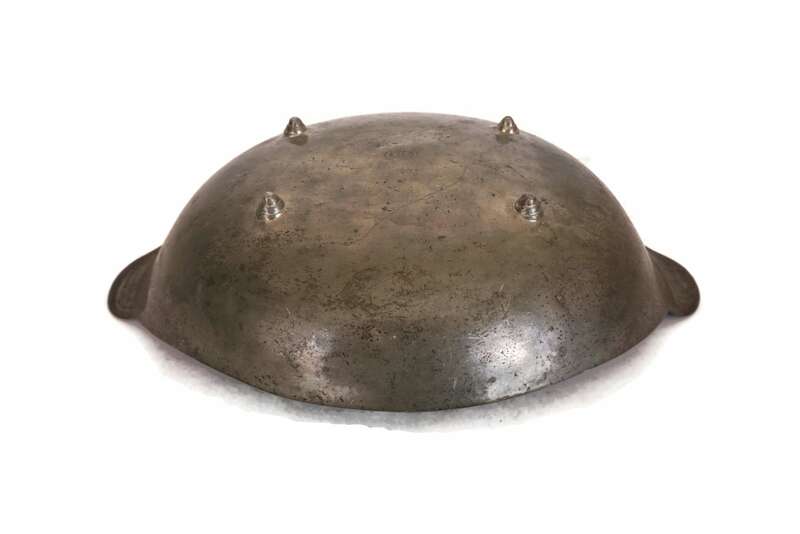 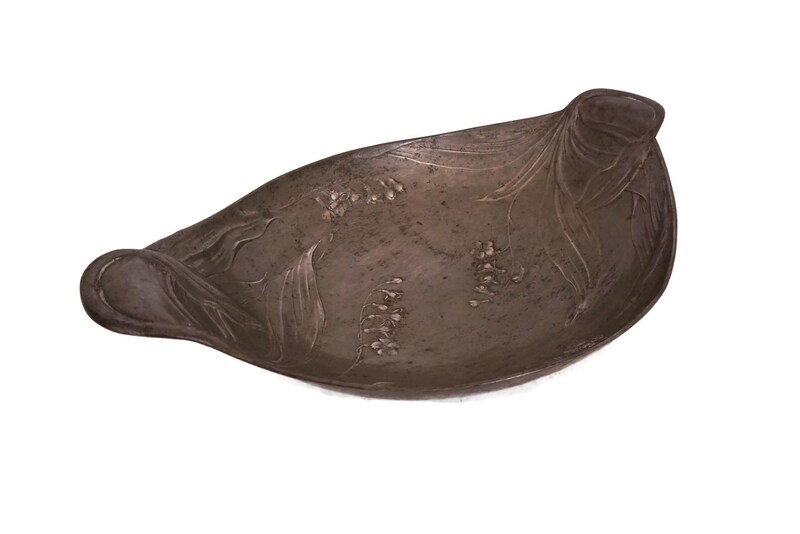 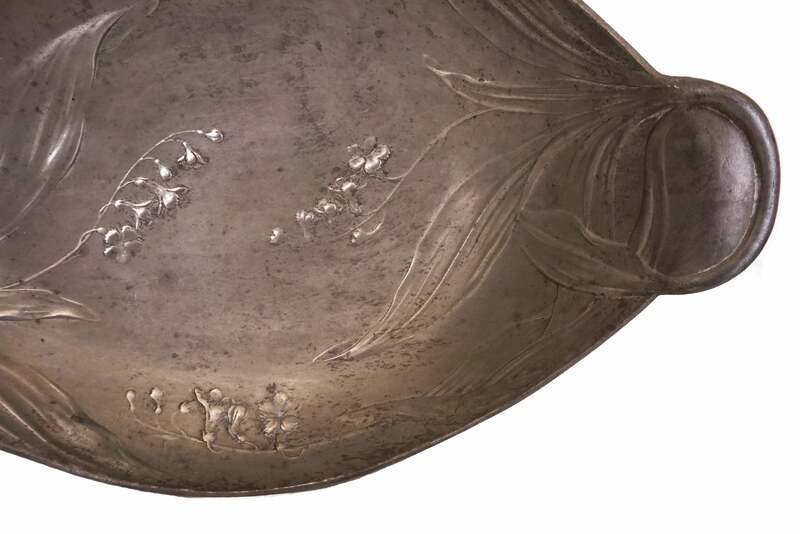 The antique French catchall dish has been cast from pewter and decorated with a charming lily of the valley flower pattern in a raised relief. 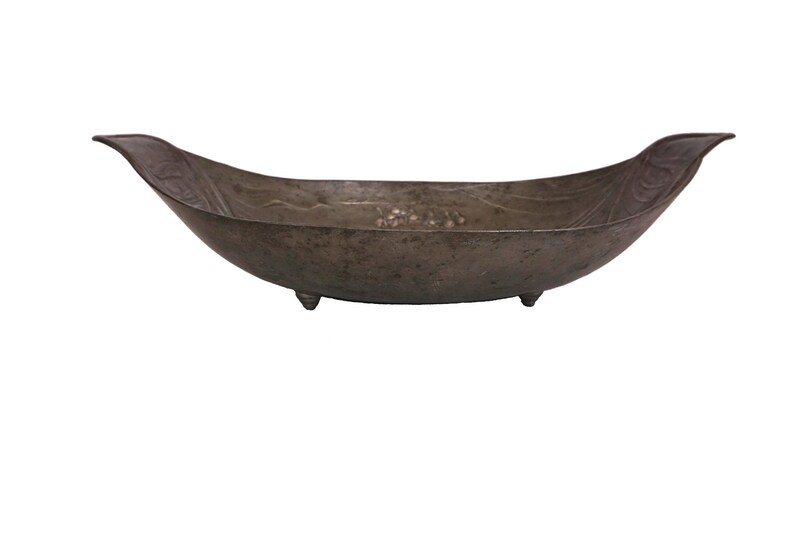 The medium size bowl has an elongated oval shape with raised handles and it rests on four small feet. 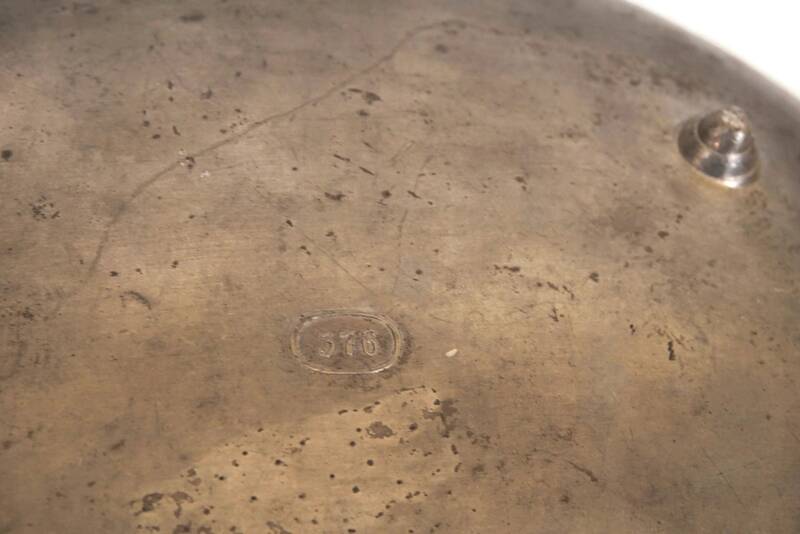 The underside has the maker's pattern reference number 376. 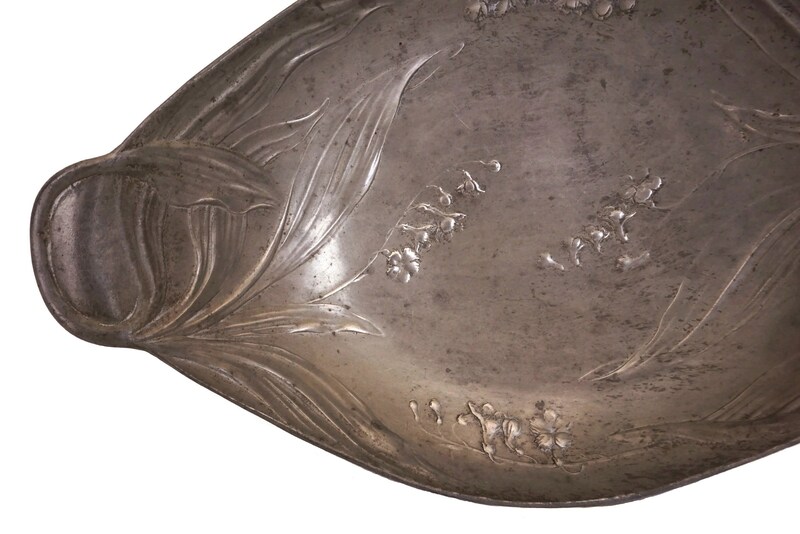 (29 cm x 19 cm x 5 cm). 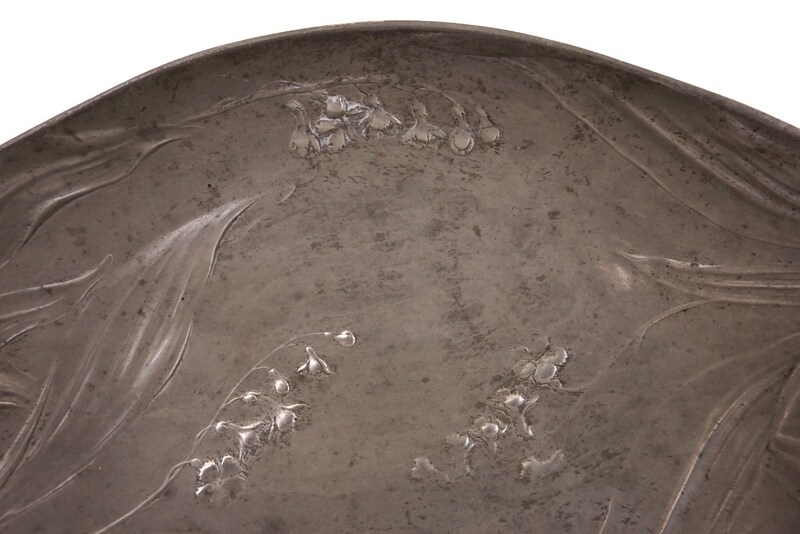 The Art Nouveau Pewter fruit bowl is in very good antique condition with surface marks and light scratches in places.